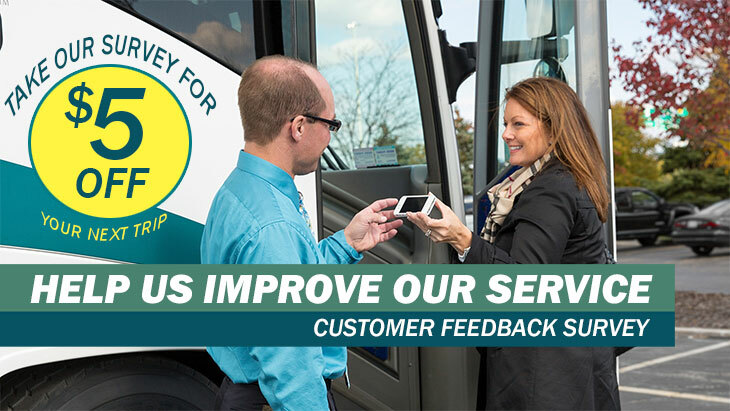 Would you help us improve our shuttle service by taking the brief customer feedback survey below? It takes less than 5 minutes and will greatly improve our ability to serve your shuttle needs. Would you help us improve our shuttle service? Take the survey below and receive $5 off your next trip. Do you have any other comments or suggestions to help us improve our shuttle service?